A few years back people used to check into hotels either by a confirmation over the phone or visiting the place directly. Technology, in this case, has enhanced the field and provided you with the option to connect with the users in a better way. 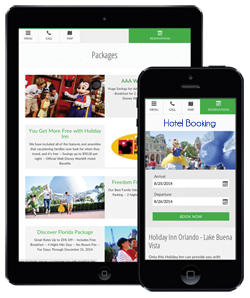 Web portals are important to take your hospitality venture to another level. They act as a virtual tour for your clients. They can see the rooms and infrastructure and book their preference. When you create a website for hotel industry then trusting us as developers provide you with added benefits of an intuitive layout. There are many options in place, and that can help you. Designing a website is complete when you have customized designs. Our experts understand your business and bring you with customized templates and pictures that are optimized. We create hotel booking sites that are intuitive and easy to edit. You can upload and remove special offers and packages. In case you want to upload added facilities then the same can be done with ease. The portal is search engine optimized so that you can get more visits with the help of a high ranking site. Reporting is another part that is important, the portal provides you with data regarding number of views and bookings online. When your client visits the portal, it should not just serve as an informative tool but should help to produce revenue. We create hotel industry website that are interactive and provide your prospect clients with best user experience. We integrate your site with booking engines so that you can feature online hotel booking feature. It ensures that your portal is not just a marketing tool but can fetch revenue. We can create social plugins so that you can reach out to your clients across mediums. The site is secure, and there is no risk of downtime.